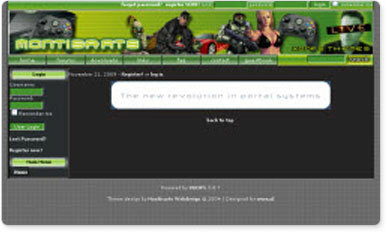 XOOPS is a free content management system, written in PHP, for websites. It uses a modular architecture allowing users to customize, update and theme their websites. XOOPS is an acronym of eXtensible Object Oriented Portal System. Though started as a portal system, XOOPS is developing as a content management system. It aims to serve as a web framework for use by small, medium and large sites, through the installation of modules. For example, a small XOOPS installation can be used as a personal weblog or journal, but this can be expanded upon and customised, for example users might add the appropriate modules (freeware and commercial) to store content in news, forums, downloads, and more.